A put together look is just a boot away, thanks to the Timberland Sutherlin Bay Shootie. This women's bootie features a premium full-grain leather upper from an LWG Silver-rated tannery for comfort and durability. The classic silhouette adds easy style, and the side zipper allows for convenient on/off. Inside, a MirrorFit™ comfort system will provide support to keep you going all day long. The OrthoLite® footbed is sure to provide instant comfort and cushion and the durable outsole is will provide traction on a variety of surfaces. 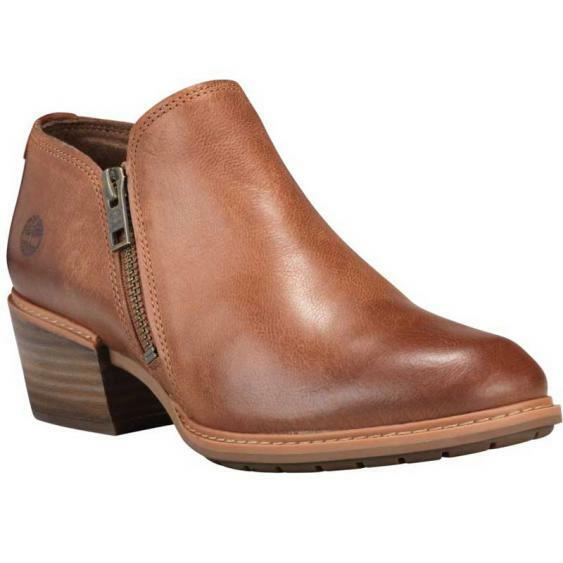 Comfort and style have arrived in a cute little package, in the Timberland Sutherlin Bay Shootie.